Bourlier's Barbecue & Fireplace provides professional and courteous service. We have the widest range of brands, and products at the best prices. We carry all the major brands like Weber, Big Green Egg, Broilmaster, Vermont Castings, Heatilator, E-Z Que, Empire, Monessen, Broilking, Lynx, TEC, DCS, Peterson, and Stoll. At Bourlier's we carry everything for your barbecue needs. We carry all the pellets from Green Mountain Grills and Traeger. We carry 6 different brands of Natural Lump Charcoal for your Ceramic Grill, your backyard charcoal kettle, or your smoker. We carry over 10 different types of smoking woods, such as Apple, Hickory, Cherry, Mesquite, Lemon, Sassafras, Alder, Oak, Pecan, Wine Barrel, Whisky, Maple, and Peach. We carry wood chips, chunks, and split logs. We also carry a wide selection of spices and rubs. We carry the whole Dizzy Pig line and the Traeger line of spices plus many more. American Fireplace & Barbeque Dist. Michigan's Largest Live Display Showroom! Over 80 Live Gas Displays! Visit Our 6,500 sq. ft. Showroom... It Will Amaze You! IT'S WORTH THE DRIVE! Small Residential and Commercial concrete and masonry projects. *Authorized Dealer of Heat & Glo Fireplaces* If your fireplace, insert or stove isn’t living up to your expectations anymore, The staff of hearth experts at FireSide Hearth & Home will guide you from product selection through installation and every step in between. We strive to make your entire purchasing experience as enjoyable and as stress-free as possible. If you’re in Utica, Canton, Royal Oak or any of the surrounding areas, our team of hearth experts is here to help! We offer a wide variety of gas, electric and wood fireplaces, along with stoves, inserts, mantels, surrounds, fireplace accessories, and more! We’re sure to have something in our showrooms to please even the most discerning of customers. The Stepflame brings a new level of fire experience and is perfect for; Homes, Restaurants, Mountain Resorts, Private Mountain Home Communities and SO MUCH MORE! The StepFlame™ Dual-Tier Fireplace Grate offers you what no other fireplace grate offers, two levels of flame and a removable ash collection pan. The removable ash pan acts as a heat repository, collecting all of your fires energy and injecting that energy back up into your fire. It also makes disposal of ash waste easy and keeps your fireplace clean between uses. This fireplace grate features a dual-tiered design, which enhances your fireplace presentation by allowing you to have two levels of fire burning at once. It also increases your potential heat output by doubling your log volume. The design keeps your logs neatly and safely stacked and provides better airflow for longer lasting burns. 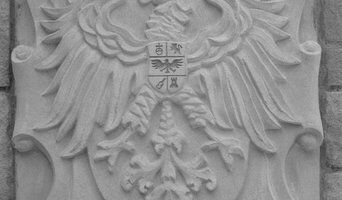 Specializing in custom fireplaces both natural and cultured stone. 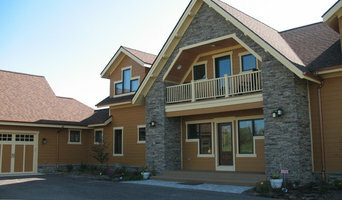 Custom exteriors for both new and existing homes. We service all chimneys in need of repair including inspection,chimney caps and crowns. Masonry restoration, including tuck pointing. Woodland Direct is one of the largest e-commerce companies focused on the Fireplace, Chimney, Wood Stove, and Outdoor Living markets. Our founders have come from a Fireplace & Chimney background that reaches back to over 25 years of knowledge and experience. 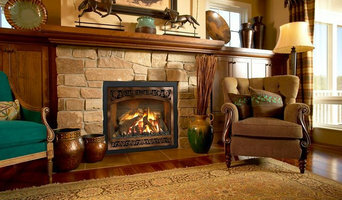 With a clear vision for the future they founded WoodlandDirect.com to offer a wide variety of Fireplace, Chimney, Wood Stove and Outdoor products to homeowners and businesses across the United States, Canada, and the world. To keep up with ever changing products and requests from customers Woodland Direct consistently adds new learning content and innovative products to our catalog. Our goal is to provide the highest level of customer service, unsurpassed salesmanship and complete satisfaction to our customers. Simply visit WoodlandDirect.com, or place a phone call to speak to a member of our team of NFI certified experts, and you'll see why no one comes close to Woodland Direct. No other company on the Internet can offer the same lines of quality products, at such low prices, with the same personal, friendly, and professional advice. 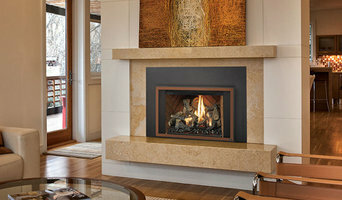 Buy from us and you will see why Woodland Direct is your fireplace, chimney, and outdoor connection. • Nation's Largest Team of NFI Certified Professionals • Professional Expertise and Sales Support • Extraordinary Customer Care • Guaranteed Security and Privacy Unlike any other retailer, WoodlandDirect strives to provide you not only with quality products but with a support staff that helps you take your projects from start to finish. Our Technical Sales Team has the training, certification, and experience to help you complete your projects. 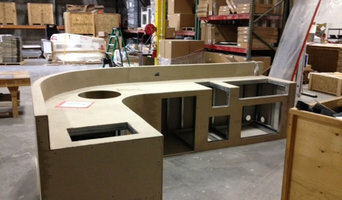 Shores Fireplace and BBQ has 15 years of experience in the hearth and patio industry. We carry a full line of fireplace (traditional, contemporary, modern) and BBQ equipment. We offer propane exchange, propane hoses made on-site custom parts, outdoor living areas and kitchen design, outdoor heating solutions and much, much more! Idag finns det en hel djungel av spisar att välja mellan. Därför är det viktigt att kolla upp fördelarna med vardera spis innan man ska installera sin kamin. Som tur var finns det leverantörer och företag i Detroit som gladeligen hjälper en i valet mellan braskamin, pelletskamin, gjutjärnskamin, insatskamin eller murspis. Oavsett vilken spis du väljer i slutändan och om det är en öppen spis, eldstad eller kamin med eller utan skorsten så kan en leverantör eller butik ofta hjälpa dig med produktion, montering samt installation. Visst kan det vara svårt att välja varifrån man ska beställa sin vedspis eller kamininsats. Man kan fundera över om man vill ha en större leverantör eller någon som arbetar med en mindre och mer unik produktion av kanske enbart braskaminer eller kakelugnar. En kakelugnsmakare i Detroit är expert på just kakelugnar och ett bra alternativ om man dras åt det hållet. Ett kakelugnsmakeri kan du även vända dig till om du behöver renovera din kakelugn. Men, vill man få en objektiv syn på vad som finns på marknaden ska man kontakta en leverantör med butiksförsäljning av både vedspisar, vedkaminer, öppna spisar, pelletskaminer eller stenugnar. Därefter kan man vända sig till en expert inom området. Behöver man exempelvis hjälp med att mura en öppenspis för att sedan sätta in en insats kan man behöva experthjälp inom området. Så, välj producent efter hur mycket du behöver hjälp med. Vad ska man tänka på när man ska installera en braskamin i Detroit, MI?